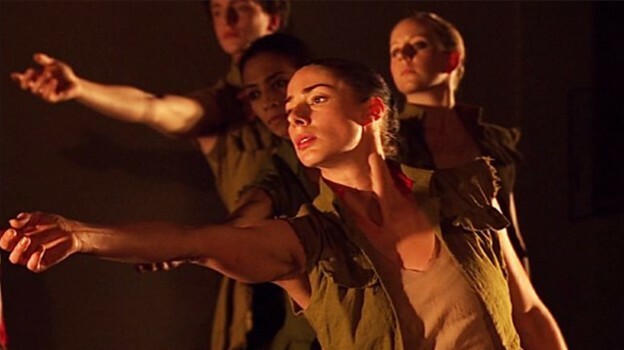 Still from BBC Arts Online coverage of Second Breath by Russell Maliphant, performed by ENB at IWM North for Museums at Night. I planned and developed events as part of Reactions14, a season of creative responses to the Centenary, including performances by the English National Ballet, a day of craft in partnership with the Manchester Craft and Design Centre, a take-over by students from the Royal Northern College of Music and the development of a new libretto with the BBC Philharmonic. These creative interventions were complimented by Perspectives14, a series of Sunday afternoon talks delving deeper in to the collections and history of the First World War from a range of angles. The performances of Second Breath by the English National Ballet were the highlight of IWM North’s first Museums at Night event. Visitors enjoyed Vintage DJs, poetry performances by Kat Francois, object handling and tours and talks. The event was promoted by local media including an article on Creative Tourist (here) and I was interviewed live for the BBC Manchester breakfast show. The event was streamed live online and elements were available to watch on BBC Arts Online. I’m so delighted for all parties involved that the two performances were such a success. appropriately enough, delivered with a kind, responsive and calm manner. It has been a joy to work with you and your team.